How do I love thee? Let me count the ways. I love thee on my jacket. I love thee in my hair. I love thee on my scarf, and I love thee everywhere. 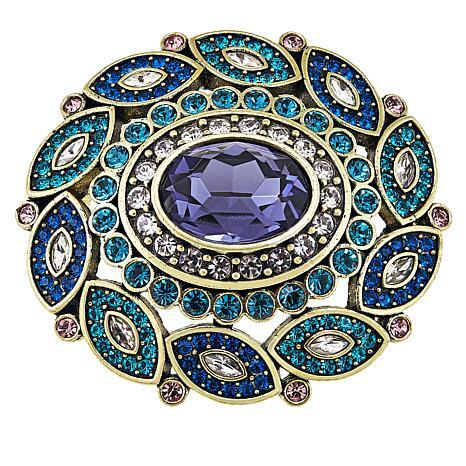 Gorgeous broach is reminiscent of jewels worn by royalty. It took my breath away when I opened the box. It is a work of art. 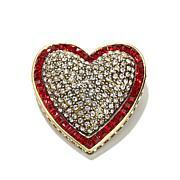 It will look good on a blazer, blouse or scarf. Enchante will make anyone's outfit look beautiful and finished. 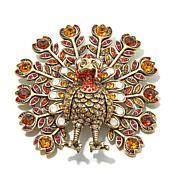 This pin is classic Heidi and so beautiful. I bought it in the clear with the jonquil. It is a nice size and will enhance just about anything. I love Heidis pins because of the versility. Truly a lovely piece. 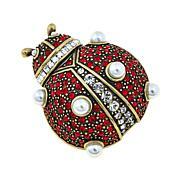 This is my 4th Heidi Daus pin, so beautiful, and always gathers compliments. The multicolor motif makes it able to be worn on multiple garments. I bought the neutral and it is magnificent. It was surprising how much sparkle the pin has and such a presence. 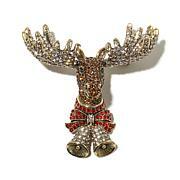 This was a great addition of Heidi's to add to beads and wear as a necklace too.